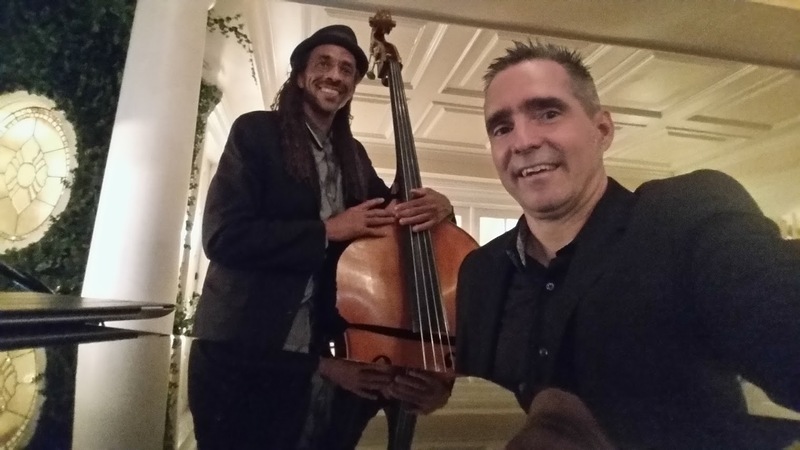 Bass and Piano and Vocals made an incredible 60th Birthday Party! Played last night for Dave’s 60th. Amazing gig. Beautiful. He wanted Sinatra, standards. Piano and Upright Bass! It was a treat. The guests loved us. The party was amazingly set up catered…In and Out? what!! We shared the stage with another amazing cover Rock band!took over when we left! Dave and Amber really know who to throw a party! Friday night Trio before and after the Event! And…we had a blast! Pop tunes, swing, Oldies, contemporary…Super Fun! Great Crowd! Classic!Upbeat–Elegant-Swing, Rock, Classics, Contemporary, and all of it..So much FUN!! And…Weddings by the Ocean even! If you need help with anything…click here and contact me here!